Nir Zohar is the President of Wix. He joins the show to give us an overview of the Wix platform and capabilities and the impact Wix has on SMB’s and content publishers. Zohar also tells us which Wix products specifically help publishers of content and the unique analytical capabilities Wix has. Female: Well, you’re probably not far off from the truth, Rich. Jason actually has a 6 book set on creating wealth that comes with over 100 hours of the most comprehensive ideas on investing and business. They’re in high quality digital download audio format, ready for your car, iPod or wherever you want to learn. Male: He’s recorded interviews with Harry Dent, Peter Schiff, Robert Kiyosaki, Pat Buchanan, Catherine Austin Fitts, Dr. Denis Waitley, T. Harv Eker and so many others who are experts on the economy on real estate and on creating wealth. Jason Hartman: It’s my pleasure to welcome [0:03:23.0] Zohar to the show. He is the president of Wix. You may have heard of this company, you may be using their products. They are a fantastic gateway to get online easily and build websites quickly, easily and inexpensively. So it’s great to have him coming to us all the way from [0:03:41.7], Israel today. Nir, how are you? Nir Zohar: I’m great. How are you doing? Jason Hartman: Well, good. Good to have you on the show. So tell us a little bit about Wix – what a neat product you have. 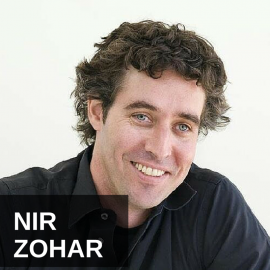 Nir Zohar: First of all, thank you. I think for us it was very important to create something that will allow basically anyone who wants to build a great looking website or a page or basically want to put anything out there online and not be locked up in various constraints of templates or be under the umbrella of Facebook or any of the other publishing platforms to be able to do that with ease and without having to go to a professional. Jason Hartman: Fantastic. Well, does it offer like the full functionality? For example, can people do ecommerce on Wix? Can they make the site look however they want? There’s got to be some limitation on this sort of template oriented structure, right? Nir Zohar: Well, not really. Usually when you think about templates, you get the page which is design and you get those boxes in which you can replace whether it’s text or video or photo – that’s completely different. What we call a template on Wix is more of a design suggestion because a lot of people have a hard time starting from scratch. But anything on Wix can be completely manipulated, changed, dragged and dropped, moved around, and we tried to create a layout that will do the best job at making sure that at the end of the day, even if you changed a lot of things and you’re a not a designer, you will still get a website that looks as if it was built and designed by a very professional designer. Jason Hartman: So, e-commerce okay, though? Nir Zohar: E-commerce is okay. E-commerce is I think the only functionality we have on Wix which you must pay for because our basic assumption is that if you build a website and you’re not using it for any kind of a business use, then we’re very happy to have you as a free registered user and you don’t have to pay anything. If you have e-commerce, then obviously you’re making money off your website, in which case we want you to buy a premium subscription from us. Jason Hartman: Okay, tell us how someone does it and then later let’s circle back to the prices of the different products you have. Nir Zohar: Absolutely. The process is very simple. You go to Wix.com, you register by giving us an email and a password just so you have an account. You can then go to our templates page and either you can start from scratch if you have a good affinity to design, if not, you can choose one from one of our hundreds of really amazing looking templates. You then click the template and try to edit it, change anything you like, text, photos, videos, add social elements, choose some applications from our up market which is something that we’re really proud of. Generate a mobile site in one click and you save it, you publish it, and you have a website live online. It’s simple as that. Jason Hartman: And then how do you link your domain name up with the website? Nir Zohar: Basically, when you build a Wix website, you get a Wix domain name, so yourname.wix.com, and we also put very small non-intrusive Wix advertisements on your website, only Wix advertisements, never anything else. If you decide that you want to connect your own domain and/or remove those ads, that’s where you have to pay us a monthly or a yearly subscription. Jason Hartman: And what are the costs of those subscriptions? Jason Hartman: And back to the actual website building, I mean looking at the Wix website, these samples that you show in the gallery, there are many different looks here. I mean, how much can someone do? I asked you before about the limitations, obviously, but just talk to us a little bit more about actually building the site and some of the different case studies you’ve seen of the most effective sites. Nir Zohar: Well, we tried to make it as frictionless as possible and have no limitations. Saying that, we’re still a product that is growing. So, many times people try to do all sorts of crazy things and then ask us about it. If it’s not possible, then we’ll try and find a way to work it out and add that to our platform. Part of that was also why we’ve added the application marketplace because there’s a lot of amazing solutions out there and we don’t expect ourselves to try and develop everything that’s out there. So, for example, if you want amazing music players that we also allow you to sell your music, then we don’t have a solution like that, however you can very easily drag and drop SoundCloud into your website and have it working on your Wix website. And the amazing part is that all those applications, when you drag and drop them on your website, they will look as if they were part of the website. If you go to Wix website now, that has a lot of applications in it, you won’t be able to differentiate between the site and the application. It looks like one part of a whole. So, I think we see a lot of amazing use cases for Wix, from every vertical and every size of the business. So, you can see from consultants, musicians, photographers and artists, and sometimes businesses you don’t even think about as small businesses such as dog walkers, and even up to medium sized businesses and even enterprise sized businesses. I would guess that you can very easily build a website for your show in a matter of a day and be very happy with it. Jason Hartman: So, what’s the usual time on building a site? You say a day, but that doesn’t mean someone’s spending 8 hours at their desk building the site on the Wix platform, right? Nir Zohar: I think that if you really know what you want to have on your website, then a day will probably be enough. Usually what takes a lot of time is deciding what kind of structure you want to have on the website, what kind of content do you want to have on your website. So, if you’re starting something from scratch, it usually takes longer because it takes time – it’s a creation process. It’s not about the platform. It’s about getting to terms of what you want to have on your website. I think that if you take an old website and tried to convert it, it’s much shorter than that. However, usually people are so blown away by the limitless nature of the platform that usually when they convert an old website, they kind of develop an appetite to having more. So, they start developing their website as they transform it from one platform to the other. So, it usually actually still takes longer because they just find out that there’s so many opportunities and things that they always dreamt about or never thought about that they’ll be able to do and now they can do all of that. Jason Hartman: Nir, does somebody need a web developer anymore? Or is it really possible for a business to just not have one? Nir Zohar: Well, I think it depends on the business. Facebook is a website. I do not claim that you can build a Facebook on Wix. JPMorgan Chase, their website is huge. They spend millions of dollars on their website because it’s an integral and key part for them of communicating with their customers. They have so much functionality there that they also probably will never be Wix customers. However, I think that most smaller businesses – and I’m not saying small necessarily – but medium, small, tiny, even sometimes big businesses that don’t have a lot of functionality on their website can definitely build a website on a platform like Wix. Weill they still need a developer? Sometimes, because there’s a very god chance that you would like to have something which is very, very specific to your website. So let’s take Asus computer company. They use Wix as a platform for their North America website. Jason Hartman: Really? A giant company like that, that’s amazing. Nir Zohar: And most of the website is a very simple usage. They have a part, which is the part which recognizes what kind of driver you’re using on your website and suggests whether it’s up to date or not. This is something that obviously they used the developer to develop because that’s something I can’t offer them. But they just put it into an HTML embed code within the website which you can very easily do and that’s that. And everything else has been taken care of by the platform. Jason Hartman: I’m looking at their site now and it’s a very good looking website, by the way. It’s got the social media, share buttons built in in a nice place, and it’s got video inside of photos and all sorts of interesting stuff. Nir Zohar: It’s the service site, it’s the service.asus.com. I just want to make sure we’re looking at the same one. Jason Hartman: Oh, okay. I’ll check that out. Nir Zohar: But you can still see it’s a great looking website and very easily built on our platform. Jason Hartman: So, tell us a little bit more. I mean, the idea of not being dependent – everybody loves the idea of not being dependent on somebody else, whether it be their accountant, their attorney, their web developer, and nowadays for so many businesspeople, their website is their whole lifeline for the world. Nir Zohar: I agree and I think that’s super important. Think about the 80s. In the 80s, if you wanted to bring the booklet, you will have to go to a whole bunch of professionals in order to get that done. You had to pay a lot of money, it will take you a lot of time, and you will go through 3 to 4 separate professionals in order to get it done. And then companies like Microsoft and Adobe and HP came and it was like the whole desktop revolution in which software and hardware of printers allowed you to do that at home. Today, you wouldn’t even think twice about doing something like that at your house. And I’m willing to bet you have a printer at your house and a computer at your house and you can do it, and I definitely do. Now, that’s something that need to happen with website building and online presence. It doesn’t make any sense that it hasn’t happened yet. And that’s something we are spearheading. Jason Hartman: Wow. Just so you know, to circle back, I’m looking at the Asus service website and it’s equally nice. So, that’s pretty impressive that they’re using your platform to build that. What about support? Nir Zohar: So, we have a call center in The US which will answer the phone if you want to talk to us. We have a very large team of people who do tickets, answer tickets. A lot of people will go through our support forum and ask a lot of questions. We also definitely have a very elaborate knowledge base that will give you basically any answer to any need that you might want to think about, video tutorials that will show you any functionality you’re having a hard time with. Jason Hartman: So, Nir, talk to us about how content publishers can be more effective and have more impact on the web using your platform. Nir Zohar: Well, I think that, at the end of the day, the limitations that you may or may not have, they’ll not only affect your efficiency, they’ll also affect your creativity because if you know that anything you want to do will take a week or two weeks or a month to get online, in your mind you will move slower. I think one of the great things about using a platform like Wix is you find that the creation process becomes so easy and the publishing process becomes so easy that you can basically start dreaming much more often, putting all your crazy thoughts and ideas and dreams online. And I think that one of the things we’ve done very early on in Wix is we made sure that we drink our own Kool-Aid. So, I have 50 designers at Wix that create all of our marketing materials, all of our landing pages, all of our site pages, and do you know what platform they use in order to do it? They use our own platform, they use Wix. I’m not choosing anything else. So, basically whenever my marketing team wants to get something done from today to today, they just go to the designers, they say, guys, I have this crazy idea. Let’s create 5 drafts, let’s put them online, let’s test them with some traffic here, some traffic there. Let’s change it, let’s make another version of it. Let’s just change a word here, I’m not happy with the structure there, and everything just moves around in a matter of minutes or hours if it’s something that is very complicated. Jason Hartman: That really allows for the iterative process which I find is so useful in today’s media, how blogs can edit content right away and stories can develop so quickly. And also, with tech companies, it’s talked about a lot in the book The Lean Startup by Eric Ries which I’m sure you’re familiar with – fantastic book. And it’s just that constant iteration – when you learn, you can change things really quickly. And that’s one of the great things about this platform. You take out the middle men and the idea can actually happen immediately. You can test things very quickly, so very helpful, very good. Anything else on that subject before we leave it and just maybe close with analytics? Content, publishers, and how they can be more effective? Nir Zohar: I think one of the things you talked about blogs, I think blogs are a great way for contemplating publishers to work with. I do think that many times they want to have some sort of base of operations or wrap around blog that is more constant and a base of operations if you will. And one of the things we’ve done, which I think is great on Wix, is to allow that for the people who work with blogs. So we have our own blogging solutions that they might play around and test with, but we also allow you to just bring in your own blog, your Tumblr, your Blogger into Wix as an integral part of your website. So you can have both a website and a blog in one place in a very, very easy and seamless way. Jason Hartman: How does the user know that this kind of a platform is search engine friendly? For example, different kinds of WordPress templates brag about the fact that search engines like them more than the other one. I know Thesis was certainly one of the early ones that used to brag about that. I’m not sure they’re still the leader in it or not. But really, being optimized so that it’s very easy for search engines to find content on them. Nir Zohar: The great thing about Wix and, by the way, we use our own technology and we have great results on SEO which is a great proof that it’s really working. But also, Wix is built on HTML5. It’s one of the only platforms out there that fully utilizes HTML5. And in the last year and a half, Google’s moved a lot towards giving a lot of credit on SEO to HTML5, which means that because your Wix website will be an HTML5 website, you’ll get that benefit automatically from Google. And we actually have what we call an SEO wizard, so something that will allow you to go in and test your website, see how well is it compatible with the search engines, and also allow you, suggest to you changes that should be made in order to improve your SEO ranking. Jason Hartman: Fantastic. And let’s talk about analytics a bit here. Does Wix offer any unique capabilities in terms of analytics? Nir Zohar: There’s a lot of really good analytics products out there. Instead of trying to develop our own, we offer them through either our output market or basic offering. So some of them you find on an up market and it’s really easy to find. And, actually, if you buy one of our premium services because you can also enjoy Google Analytics. Now, naturally it has to be through one of our subscriptions simply because in order to use Google Analytics, you have to have a domain connected to it. So once you get that connected, it’s just pulling a code connected to Google Analytics, and I personally find that it’s the best analytics tool out there. I will say that you will keep on developing or partnering more often than not in order to get more and more analytics and BI (Business Intelligence) tools for our websites and our customers. Jason Hartman: Right, okay, yeah. I don’t like to let anybody get away with any kind of acronyms and abbrevieations on my shows. Nir Zohar: That’s absolutely fair enough. I think it’s the right way to do it. Jason Hartman: No lingo, which, by the way, where did the Wix name come from? Nir Zohar: Well, it’s kind of a fun story – I don’t know if it’s a radio story, but you can edit it out if you like. Originally, when the founders were looking to name the company, they wanted to call it Wixer which is a web mixer, so we were to call it Wixer. Now, apparently Wixer, it’s pronounced Vixer, but in German it’s written the same way, and in Germany it’s a bad word. It’s something along the lines of wanker in British English. So the founder said, okay, we don’t want to go there – we’ll just call it Wix, which is shorter and also they found this great 3 letter URL they were very happy with. It turned out being that Wix is still a bad word in German, something like sperm or something like that in some German slang, but it was too late and we said that we’ll have to deal with it. I still think that when we go all in in marketing in Germany, the tagline should be Wix, Do It Yourself. Jason Hartman: Yeah, that’s great. So, when was it founded? How old is the company? Nir Zohar: The company was found in late 2006. That’s also when it was incorporated. And we started operating at January 2007, released our first online editor in the summer of 2008. Back then, it was a Flash website editor. And then we evolved from Flash to HTML5 in early 2012. More than 41 million users. Jason Hartman: Fantastic, incredible. Wow. And what’s next for Wix? What’s on the horizon of this type of thing? Is it just gonna get easier and easier for the consumer to develop their own website? Nir Zohar: Absolutely. And more and more so develop their website and manage their business. There’s a lot of amazing, amazing cloud services out there that a small business really cannot access because there’s so much integration through applications, through the website, through different databases that need to speak with each other. And our aim is to get to the point where you can do all of that very simply and the small business will have the same benefits that big business has without the need to pay hundreds of thousands of dollars. Jason Hartman: And it’s certainly going that way. I mean, I remember when I took a CRM class about 13 years ago maybe or 12 years ago and we were still talking about Siebel Systems and companies that had to pay $12,000 to $15,000 per seat. Now, you can just go to Salesforce.com, pay $50 a month. That’s amazing how much it’s changed. It’s just incredible. So, the playing field is getting leveled and that’s a wonderful and very democratic thing. But what are some of these great cloud-based services that small businesses can’t access still or can’t easily access? Like when you said that, what were you referring to? Any examples? Nir Zohar: Well, I think there are many of those if you think about integrating them in one place that makes sense. So, it can be simple stuff that you don’t even think about. But let’s say that you build a website, you want to put a Google Map into it and Facebook comments – two very simple and basic things, right? How do you do that if you’re a small business if you’re not tech? Can you do it on your own? Can you take the code and edit the CSS and put it in there and make sure that it looks good and works on every browser and works mobile? I don’t think so, right? So these are the simple stuff. But then again, you said CRM, why not have a contact list attached to your website which is something, by the way, we already have on Wix. So you can start collecting your customers through your website and have a list of who these people are. And then start connecting a CRM to it and email blast functionality to it, anything that you as a business will need in order to communicate and work with your customers. Jason Hartman: Yeah, fantastic. Well, the future is definitely exciting, Nir. Thank you so much for joining us today. The website obviously is Wix.com and keep up the good work. You guys are obviously doing great things and making this a lot easier for small businesses and solopreneurs and even bigger businesses like Asus computers. So, that’s fantastic. I also want to apologize for sound quality. My microphone wasn’t working for this interview for some reason – I don’t know why – and so I had to just use the speaker, but I think it probably came out okay. Sound okay on your end, right Nir? Nir Zohar: It sounded perfect on my end. Jason Hartman: Well, thank you from joining us today from Tel Aviv and Wix.com. Any other sites or resources you want to give out before you go? Nir Zohar: No, I think we’re good. Jason Hartman: Alright, Nir, thank you. Nir Zohar: Thank you very much. 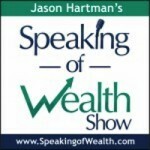 Jason Hartman: This show is produced by The Hartman Media Company, all rights reserved. For distribution or publication rights and media interviews, please visit www.HartmanMedia.com or email [email protected] Nothing on this show should be considered personal or professional advice. Please consult an appropriate tax, legal, real estate or business professional for individualized advice. Opinions of guests are their own, and the host is acting on behalf of Platinum Properties Investor Network, Inc. exclusively.